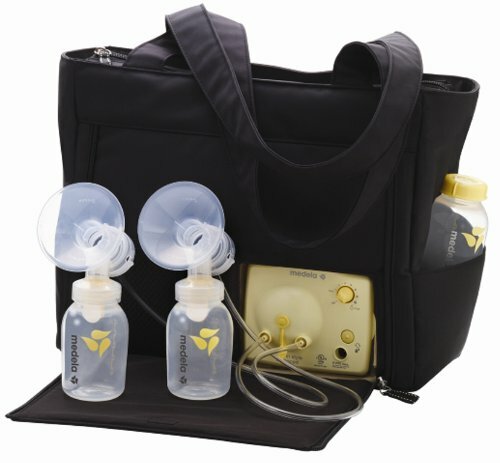 This post is about breast pumps. More specifically, it's about the love/hate relationship I have with mine. It's funny, I have a fellow mama friend who asked me if I've ever done a post about that love/hate relationship. I have. Kind of. So, then we proceeded to trade back and forth the number of horrible things that accompany your decision to continue breastfeeding when you go back to work. By the end of the conversation, my sides hurt from laughing and still, we both agreed - we wouldn't change it for world. I knew somewhere in there was a blog post. I figured I would save that post for a rainy day. And then, Monday happened. And lemme tell you, it poured. So, let's begin, shall we? You. You're on my list. My world has kind of been turned upside down recently with a much anticipated move to a new unit within the facility I'm working for. And because that unit is located directly below the unit I had been working on, they went ahead and had me move my office to the floor below as well. This is no big deal to me. I try very hard not to be resistant to change and considering the constant threat of layoff that plagues the state system - I would gladly have my office in a coat closet if they would continue to employee me. The office move also meant a day filled with lots of people entering/exiting my office to switch out phones, shampoo the carpets, move file cabinets, etc. By Monday, I figured most of this would be done, so it was without hesitation that I locked the door to begin my AM pumping session. Less than 5 minutes in, there is a chipper little knock on my door. Assuming it was one of my female co-workers/hallway mates, I cheerfully said "Come back later!" I'm a pretty private person, so I actually don't like my co-workers to know when I'm pumping in my office (in fact, it pretty much mortifies me). However, I also think they'd start to get worried if I had multiple scheduled times of which I'm entering my office, locking the door behind me, and making strange machine-like noises. So, a select few of my female co-workers know what I'm doing so they can ward off strange people coming by my office. So, when I replied, "Come back later!" I assumed the person on the other side of the door would know exactly what that meant, and that it meant DO NOT ENTER FOR ANY REASON. But, then I heard another two knocks. And the sound of a key being inserted into the lock. And the horrifying sound of the tumblers retracting. Lots of voices outside of the door including one from our sweet, shy, male IT guy coming to get some inventory numbers from my recently relocated computer equipment. It is the closest I have ever felt to having a heart attack. I started screaming, "NO. NO. DO NOT COME IN. COME BACK LATER. COME BACK LATER!!!" I pivoted my body (to face completely away from the door) with such force that I pulled my pump bag off of the desk with me. I could hear the voices of my co-workers telling him to lock the door. As I heard the lock slide back into place, I heaved a huge sigh which came out sounding like, "JESUS CHRIST" and continued about my duties. Later, I sent him an email both apologizing for not being available and for screaming at him. He came back with a sheepishly sweet email telling me that he couldn't hear me say not to come in because one of the housekeepers was changing trash bags and talking to him while he was knocking. From his perspective, I probably sounded like a raving lunatic. I am. But, still. This embarrassing walk-in is only the icing on the cake of my overwhelming annoyance with my breast pump. I hate the fact that my pumping sessions almost always have to happen right when I'm in the middle of something. I hate feeling like a cow hooked up to that thing. I hate the sound it makes. I hate answering the awkward question of "Oh, that is such a cute lunch bag. Where did you get it?" I hate the constant fear of having a leakage episode if I'm not able to pump at my scheduled times. I hate the constant fear of people thinking anything I have spilled on me is breast milk. Because it's not. EVER. I hate forgetting the daily supply in my mini-fridge. Or worse, leaving everything sitting in the middle of the floor of my office, so the daily supply has to be thrown out. I hate the extra 10-15 minutes of my morning routine that has to be scheduled in order to bring that stupid thing with me. But, still. Even with factoring all of this in - I wouldn't have it any other way. So, ladies? Let's make this interactive. Anything I left out? What do you love/hate about your breast pump? Don't be shy. I mean, after the IT guy has almost seen you in the buff, what more do you have to lose? omg. I had no idea it was so... involved. I thought it was like a literal pump (think old fashioned blood pressure cuff pumping action). Now that I know it involves batteries/power... I'm a little scared. I think it's great you are doing it for so long. i made it like 3 weeks for each boy. I hated it. Hated everything about breast feeding and pumping and hated I felt that way. With pumping I never made more than 2 ounces EVER. Part of the reason I hated it. Oh, and that's total...as in from both sides. So depressing. I see people who fill a bottle in 20 minutes...me...nope...not even close. So I think it's great you're able to do it. But, worse than a blood pressure cuff - I always thought that breast pumps actually resembled the industrial ones used for milking cows. Seriously. It wasn't until I bought mine that I knew for sure. Dawn - Thanks so much for your support, mama. I have to be honest. I was extremely motivated to breast feed - until I started doing it. It is freaking hard, dude. And I thought it was hard without a single supply issue, mastitis episode, or weird allergic baby problem. So, when people do have those problems (or, when they just decide that it's not for them) I am always super supportive of their decision. It worked for me this time (and I am so happy it did), but I'm not one to ever say never. You've gotta do what works for you. And you have two ADORABLE little guys to prove you do exactly that. I made it two and a half months of breastfeeding and supplementing because I wanted to shoot myself after the first 4 weeks. I wasn't producing enough which made me hate it more and the whole cycle threatened to eat my sanity. Feed. Clean. Sleep - not really. Eat to produce. Pump - barely. Clean. Feed. Clean. Sleep not really again. Slam my head against the wall. Feed. Clean. Grab the damn formula bottle. Feed. Sleep slightly more than not really. BIG FAT KUDOS to you, mama! Well, first off, let me express my congratulations to your entire family on this much-anticipated miracle. It sure sounds like your daughter has gone through a lot (and still has a lot to go through) in order to welcome this baby into her life. Before I answer anything, I have to tell you that I never struggled with my decision to breast feed - until I started doing it. So, it was with blind hope that I researched and studied and learned about breast feeding before I had my baby. To me, if I made breast feeding THE ONLY OPTION, I would have been more successful. I was only partially right. Because when I did have trouble, I felt utterly hopeless and like there was NO OTHER OPTION to feed him. Which is crazy, because like your daughter - I was formula-fed - and I turned out okay...I think. :) This feeling is so common among breast feeding moms and it comes from a society that is REALLY judgmental about the way that we raise OUR children. Honestly, as long as your child is loved and happy and well-cared for, who cares how you go about doing it? So, here's my advice. I really encourage your daughter to at least TRY it. Really, that's my wish for all new mothers - to just give breast feeding a try. Tell her to speak with the lactation consultant while she is in the hospital. Tell her to read any book she can get her hands on (my favorite is called So, That's What They're For!) Tell her to employ the "one week rule" - meaning that she'll tell herself that she's going to quit after one more week. She might get to the end of that week and discover she doesn't want to quit (that's what I found...and 9 months later, I'm going strong). If she tries it, and she decides it just doesn't work for her, or that she faces some problems with two back-to-back major surgeries - then switch to formula (or a combination of the two). There are SO many untapped resources out there for moms who are struggling with breast feeding. Some are good, some are bad, some are TERRIBLE and will give you nightmares. Like anything with your children, know the good advice, know the bad advice, and be totally willing to throw it all out the window and just trust your instincts. Good luck to you, your daughter, and your entire family with your newest member! Thank you so much for reading.